This Saturday & Sunday, March 2 & 3 2019 is the first of 2 weekends (the second weekend being 9th & 10th March) for the annual open studio tour. This is my 5th year and I so love being a part of it. Artists must have a selection of original art for sale, and with that I also have prints, cards, calendars, coasters my Guidance Cards, and other merchandise available. People get to come and see my studio, and talk to me about my art and my process. 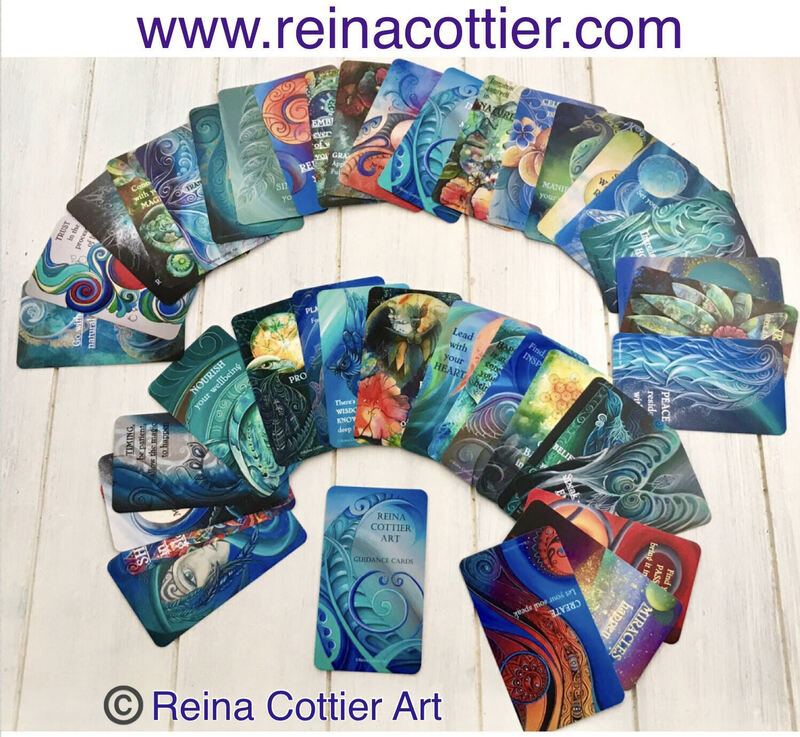 Here is a little taste of what I have been working on,… a Sea Goddess theme is prominent at the moment, i have 5 mermaid-influenced paintings almost finished. 🙂 Im using inks, acrylics and mixed media. 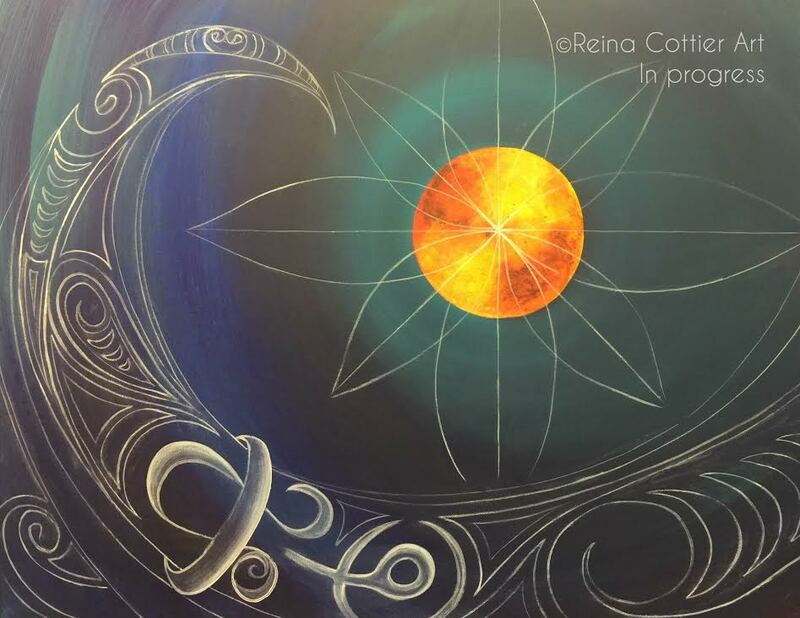 If you have any questions , please dont hesitate to ask, there is a ‘Contact’ button here at the top of the page, or im on Instagram & Facebook: ‘Reina Cottier Art’. 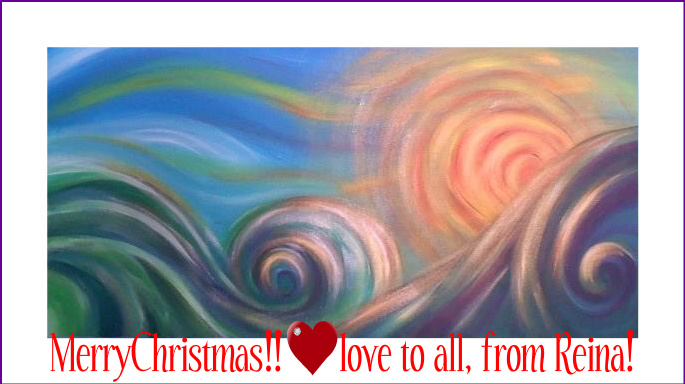 Its Xmas Day here in NZ! so………….